A recent poll of LTC professionals stated the # 1 cause of unneeded hospitalizations is patient/family panic. 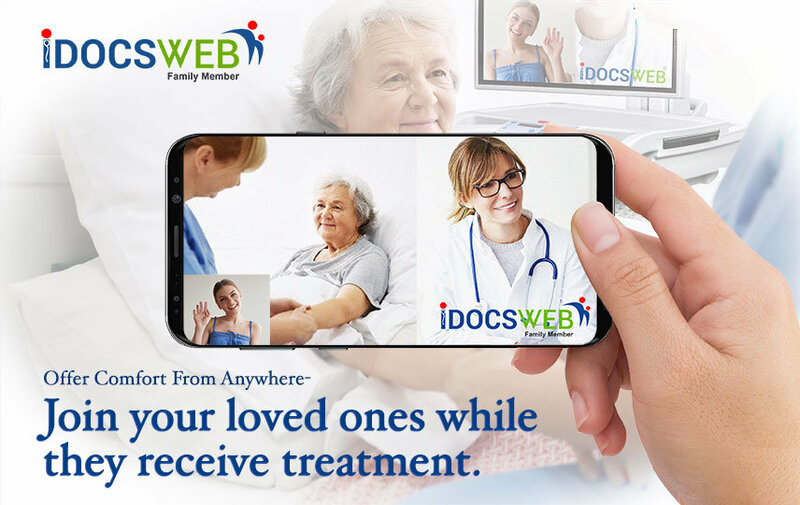 The iDocsWeb “Family Member Module” is designed to allow family members to join loved ones during telemedicine consultations using the iDocsWeb Family Application (available for iOS/Android). The nurse will send approved family members an invite to join the telemedicine session. A text message is received with details outlining the reason for the treatment request as well as a secure link to join the telemedicine session. Clicking the link launches the iDocsWeb Family Application. Once the doctor joins, the meeting begins and the family member, resident, nurse, and treating provider are all connected via streaming video. Family Members may ask the provider questions regarding treatment plans. The sight and sound of a loved ones help comfort the patient during treatment.